Last week I shared a post on the logistical challenges of having three children or more. If you thought that was a lot to take in, well, that was only one half of the story! And of course, you have to read these posts with the caveat that there are plenty of positives, and we wouldn’t have it any other way. Seriously, we collectively promise you that that is the case. Yes, we have a few daily struggles. But we eventually find our own way. 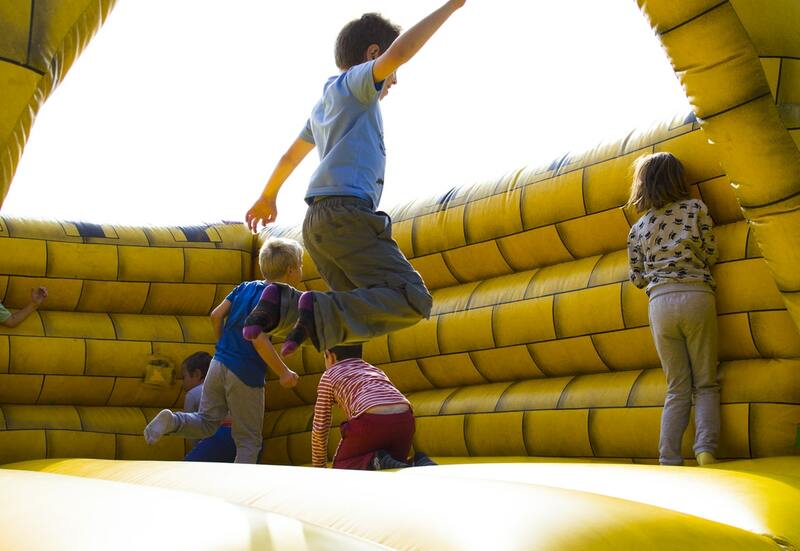 And if the logistical nightmares of getting a small army out of the house and not fitting into the car aren’t enough, here are some of the additional challenges that mums of three (or more) children experience. It goes without saying that the more children you have, the more you’ll find that your attention and time needs to be divided. There’s only one of you and a few of them, right? You’re outnumbered. And even when you take your partner into account, it’s a simple fact – there are more children in the family than there are grown up’s. And the one thing that stood out for me from all the comments shared by these fab mums is that the biggest challenge is spending one-to-one, focused time with each child. So let’s hear it directly from the mums. Mums of four and five. Splitting your time and attention equally is challenging. But when you add the fact that your children are probably at different ages and stages, have different interests and personalities or needs, you can really feel like you’re being pulled in all directions and not winning. Mums of six and seven children. Lynne from A Day In The Life of A Mum of 6 (mum of six) says: “The biggest obstacle are movie nights. The children’s ages vary from 18 to five, and it’s difficult to find a middle-ground movie. This also happens on days out – each age bracket has different interests”. Probably the biggest challenge for me personally is keeping up with everything that needs remembering. I can only retain so much information in my head! Surely, here’s where having a ‘system’ of some sort really comes into its own. Beth from Twinderelmo (mum of three) says: “My children are all at school and trying to remember what day they need PE kits, Forest School clothes, when homework is due in, when their reading books and diaries need to be back, what day their spelling tests are, and whether they’re having sandwiches or dinner makes me feel like I’m on the generation game!! !” I hear you, Beth. ‘Never a dull moment’, they say. Never a quiet moment either – the noise! This one made me smile. So true! 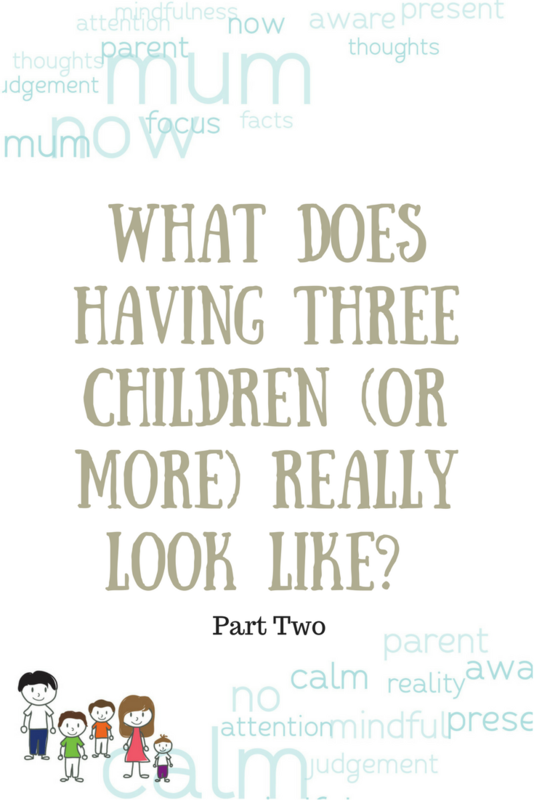 Kate from The Mum Conundrum (mum of three) says: “The transition from two to three children was actually pretty easy. What I find hardest now is the noise levels. It’s epic! It gets to a point where my brain can’t function and I have to send the older two to play upstairs for 20 minutes to preserve my sanity (and my eardrums).” I hear you, Kate. I refer to this as not being able to ‘hear myself think’! Something that did come up when discussing this over on Instagram with my friends Amanda from Books and Pieces (mum of three boys) and Lisa from The SuperMum podcast (mum of four) is that the more children you have the harder it is to find someone who’ll babysit them. No surprise that finding time for yourself or for date nights out can be a bit of struggle at times. But let’s not forget the comments! Larger families attract comments. When it’s not the size of your family (i.e. the number of your children) it’s their gender. Yep, as a mum of three boys, I get that all the time too. Apparently, according to people, my third boy was an attempt to have a girl. And ‘poor me’, ‘what have I done to deserve it’ because my house must be a mess all the time. I should start inviting people in to check or help out. Natalie from Confessions of a Crummy Mummy (mum of three), says: “The biggest challenge is our dirty laundry basket! It’s just IMPOSSIBLE to keep on top of it. So much so I have a dirty secret called Stuart – a bloke from the launderette who takes it away and brings it back clean!” We all need a Stuart, I think. Mel from Le Coin de Mel (mum of four), says: “A challenge I can’t see ever going away is the state of my house! I can spend hours tidying up, and it will always take them five minutes or less to turn it all upside down again!” Yep, that. Okay, we admit it. We have a few challenges. Daily. In fact, we face several challenges on a daily basis. Maybe that makes us more resourceful, resilient and creative in trying to fix the issues we come across every day? I don’t know. What I do now is that we all look our brood (mainly when they’re asleep) and couldn’t be prouder. It goes without saying that we wouldn’t have it any other way, right Mums? This post is by no means meant to put any of you off having your third or fourth or fifth (insert appropriate number) child. But we hope you enjoyed reading what so many parents had to say about their real-life experiences. Next Post Mum, are you guilty of putting yourself under a lot of pressure?